The SNP’s Depute Leader at Westminster has said that comments made by Vince Cable, suggesting that it was a mistake to scrap university tuition fees in Scotland, implies that Lib Dem policy would be to impose fees of up to £9,000 a year on Scottish students. 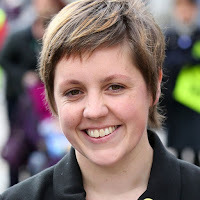 Kirsty Blackman MP added that the comments made by the Lib Dem Westminster leader were an “huge embarrassment” to Scottish Lib Dem leader Willie Rennie, who must make clear whether he agrees with his Westminster boss in support, or instead distance himself from his new leader. “Vince Cable’s blundering comments are a major gaffe and a huge embarrassment to Willie Rennie – not content with driving their party off an electoral cliff by their tuition fees betrayal in England, their UK leader is now suggesting the Lib Dems support imposing £9,000 a year fees on Scottish students.